The Memory House is a great read. I love time slip novels and was excited when I got the chance to read and review this one. I have to admit that at first, I was little confused trying to keep up with the characters. It took me a bit to get caught and understand what was going on. After I figured out what was going on about fifty pages or so in, I could not put the book down. I love how Rachel Hauck used her story to show faith and inspiration on how to be redeemed, how to forgive – including yourself, how to move on from a heart break, and having second chances. I am giving The Memory House four and a half stars. I highly recommend it for readers who enjoy time slip novels. This one should not be missed that I found to be a must read. I received this book from the publisher. This review is 100% my own honest opinion. 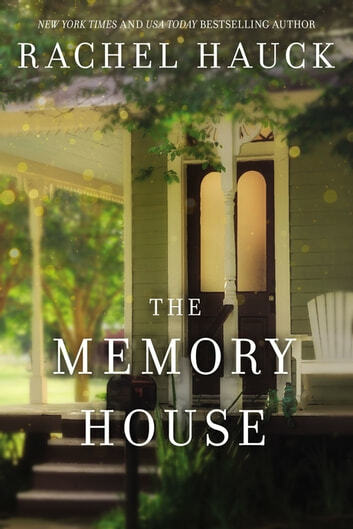 “I’m just saying God has a way of taking the worst situation and turning it for good.” Rachel Hauck takes this theme and showcases it throughout her latest novel, THE MEMORY HOUSE. It’s a time slip story of the lives of Everleigh Applegate and Don Callahan and Beck Holiday and Bruno Endicott. Everleigh and Don own a home affectionately known as “The Memory House.” Bruno grew up across the street from Everleigh. Beck’s family used to vacation at Everleigh’s home. Both women have lived through their share of loss. Their losses have left them empty, scarred and wondering if they would ever be able to be happy and know love again. Though they are separated by 50 years, they have more in common than most people. Everleigh loved Bruno and Beck and invested her time with them when they were children. She also recognized a part of herself in Beck. It’s as though Beck was the daughter Everleigh never had. The Memory House itself serves as a silent character in this novel as it’s the constant that ties them all together. Don and Bruno prove themselves time and again to be men who are trustworthy, loyal, kind and will always put their significant other’s needs before their own. Through it all, Hauck continues to point the reader to God by taking the worst situation and working it for good. She accomplishes this subtly by incorporating it into the story as the natural process of things rather than being overtly Christian. This is a wonderful book from start to finish and I highly recommend it! I was provided an ARC of this novel by Thomas Nelson Publishers and NetGalley. The opinions expressed here are completely my own and without influence. THE MEMORY HOUSE. by Rachel Hauck Beck now facing of what happened that night with Hunter. Rescuing a dog, and knowing stepfather was allergic, guess she would need to get her own place, after all she was thirty one, As a cop which she loved, knew what to expect, the friendships there.Now suspended for four weeks without pay, Telling Hunter, that didn’t go beyond, him saying ‘my wife’. Getting a legal letter, stating that the will from a Mrs. Callahan in Florida, she had inherited a house, Was on Memory Lane, how they were connected, for herself, the memory of before her Dad died, are gone. This goes from the life of 1950-1960 to present with Beck, both suffered loss, facing the past and rebuilding to having another life. Given ARC by Net Galley and Thomas Nelson for my voluntary review and my honest opinion. 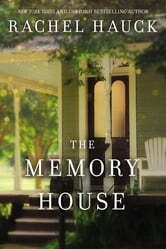 Having read several novels by Rachel Hauck, I was looking forward to reading The Memory House and was not disappointed. The reader is drawn into the story right from the get-go with a police chase and a dirty, weary-faced little dog. And who doesn't love a well-written dual time story? The author does a great job weaving together Everleigh and Beck's stories. Everleigh, a widow too soon and Beck, a mother too soon and both have huge life lessons to learn. Everleigh found that tombs could be comfy and that in more ways than one she was still stuck in the storm cellar. Would she choose to live, to be free of the past? Beck struggles with amnesia and she too is bound by the past. The characters are vivid and well-rounded--all their flaws and faults are portrayed as well as their strengths and humanity. The reader can easily relate to the characters too, as the stories could easily mirror the reader's life with shattered hopes and dreams from unforeseen circumstances. It is a story of family, friends, and forgiveness. It is a story of coming to know that love can not only drive out fears but can bring hope for a new beginning. I received a complimentary copy of this book via CelebrateLit. A favorable review was not required and opinions are my own. This review is part of a CelebrateLit blog tour.